Readability Scales: Do They Matter and Which Do You Trust? Flesch-Kincaid, Gunning Fog, reading ease, grade level… if all this sounds like gibberish to you, you’re not alone. Some, however, you’ll probably recognise as terms which describe the level of your writing’s readability. The question is: How important is it to understand your readability score, and what does it mean for your story? Before we start, it’s important to note this article isn’t about legibility, so your messy handwriting and curly fonts are safe… for now. Readability is the measure of how easily the content of your text can be comprehended, either by its intended audience or others. It deals with complexity, syntax, spelling, grammar, and other technical issues. Sadly, it can’t deal with plot holes or fix your protagonist’s motivation, which are problems you’ll need human intervention for. A better readability score naturally means that reading your work is easier for everyone – but it’s especially important for those who do not have high reading comprehension, such as children or people with learning disabilities. In readers with average or poor reading comprehension, refining the readability level of a text from so-so to good can make all the difference when it comes to truly getting your message across. Research into language science first began in the 1880s, and there have been more than 200 readability formulas developed since the 1940s. Of those, some are seen as more reliable than others, and most are specific to certain industries and audiences. So with so many readability tests out there, does it matter which one you use? Short answer: No, with an if. Long answer: Yes, with a but. First, the yes: For anyone except the most obscure beat poet, readability matters – but you need to be sure of your goals. You are writing to communicate some kind of idea, so readers should receive that idea loud and clear. If they can’t, the whole exercise is pointless. But will the text be shown to a general audience, or specialists? What’s the average age of your reader? Do you want to come across as accessibly conversational, or deliberately verbose? Answering these questions will ultimately determine which readability score you should use, because using a test not designed for your audience will generate a misleading result. Flesch Reading Ease: A general formula used for all kinds of text. Flesch-Kincaid: Ideal for manuals, forms and other technical documents. Gunning Fog: Perfect for business publications and journals. Powers, Sumner, Kearl: For text geared toward children aged 7-10 years. Coleman-Liau: For text aimed at 4th grade to college level readers. Each of these, and more, can be found built right into AutoCrit – so you can refine your edited text to fit your audience with even more precision. So readability does matter, in the sense that ensuring readers can comprehend and enjoy your work is crucial – and the benchmarks given by readability scales can help. But to swing back to the short answer – no, with an if – it generally doesn’t matter which readability test you use if you have a general text meant for a wide audience. Put simply, if your audience won’t experience nasty side effects if they cannot read your text, or you’re not specifically writing for an audience with below average reading comprehension, you shouldn’t worry yourself with hitting a perfect readability score. 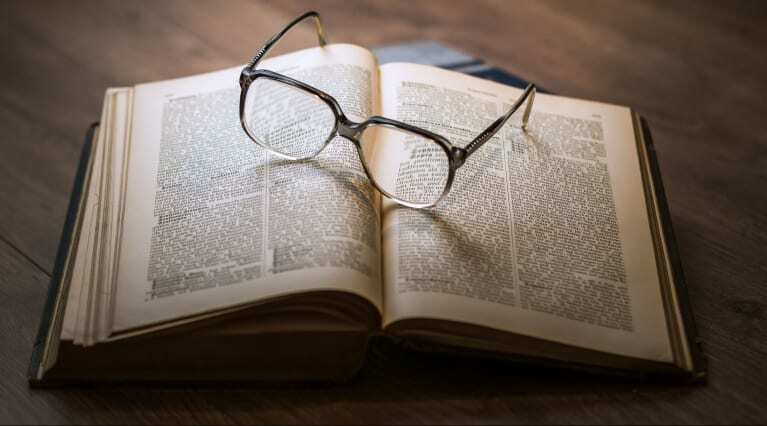 If you use readability as a crutch, you risk dulling your message and restricting the language you use – which could lead to missed opportunities to teach someone a fabulous new word (how many of us spent our younger days with a book in one hand and a dictionary in the other?! ), or creating just the right atmosphere with obscure or complex language. You may sacrifice windbag characters, or lose authenticity in your historic fiction. That being said, if you’re writing for young children, or composing an article or other factual work, the guidance of a readability score could be just the right thing to make yourself clearly heard. Do you put much, if any, stock in readability scores? Which do you adhere to, and where do you like to reside on the scales? Let us know in the comments below! Funny. This issue is the one that has been eating away at me the most while researching and outlining my book. I am far less concerned about my ability to create a compelling story, characters, plot line, scenes, twists, and a host of other requisite elements for a successful novel. A number of people who know what my novel is about, including two of which who are voracious readers, all say it’s a very inspired and interesting concept. Like nothing anyone has ever attempted. I feel up to the task of creating it. What I worry about the most is my writing style and vocabulary. My writing is flowery. I use “big words”. Its the way my mind works. I know an editor(s) is going to take a hatchet and machete to my first draft. And second. And third. Tone them way down. Cut, cut, cut…edit, edit, edit. The thought kills me. Yet, I know making the story more readable to a wider audience is a necessary tradeoff. Jocelyn, thanks for the information. In the beginning I am going to “hate” using your software when I finally get around to writing my first draft next year. Nevertheless, I really needed to hear this and allow myself to be comfortable with the notion that what I initially write and what I finally publish are likely going to be two very disparate products. In the end, if people love the story, that’s what matters the most. editing program you offer. .
Readability scores for fiction–and averaged across a whole chapter–must be used carefully. I prefer the ability to set specific markers like sentence length, for example, to curb bad habits. I’ve always been a fan of Flesch-Kincaid because it’s simple, almost (but not quite) a binary go/no-go kind of measure. My nonfiction was always elementary-school readable and checking FK helped me avoid jargon and verbosity. My fiction, I ignore readability tests. I watch for sentence length variation and all the other things AutoCrit helps with, but if one of my books comes in a “beyond college level” that means nothing to me; my readers are smart people and the books would be less if I toned down the vocabulary. What about the Dale-Chall? How much weight should I give to those scores? Are they designed for fiction? Also, where do the scores rank whcn compared to popular authors? I write genre thrillers and, for example, where would James Patterson rank with readability scores? I noticed my scores have improved since beginning with AutoCrit, but having some type of measurement against popular authors could be helpful. Thanks! Keep up the great work! I use and love all of your tools on AutoCrit and thank you for this explanation of readability. Now I understand more of what to look for and how it affects the readability. I don’t write flowery prose and I am comfortable with an easy readability score. In my research on the issue, readability is an important factor in books that garner best-selling status. Yes, I studied this to see where my own writing hit in the spectrum. In a study not intended to measure readability, Success with Style: Using Writing Style to Predict the Success of Novels, by Stony Brook University’s Vikas Gajingunte Ashok, Song Feng and Yejin Choi, determined that how a popular a fiction book becomes can be determined by several quantifiable factors. Successful books utilized a high percentage of nouns and adjectives, conjunctions, prepositions, pronouns, determiners and adjectives. They found that successful books made great use of conjunctions to join sentences (“and” or “but”) and prepositions than less successful books. Less successful books had a higher percentage of verbs, adverbs, and foreign words. And though they didn’t intend to, what their conclusions affirmed was that the parts of the speech that enhance readability played a big part in making a book popular. So, yes, improving the readabilty of your prose can help you be a more successful writer. I use challenging words – yes, often large words – because as Lance pointed out above, “that’s the way my mind works.” It is also how my parents taught me to learn to expand my understanding of the world, in every word’s subtle nuance and historic variation. My mother’s mother, a Prussian, limited English-speaking immigrant in the early 1900s, refused to speak her native language to her children; instead, she required them to keep a dictionary at hand as they studied. My mother, a farm girl who was fortunate to have taken four years of Latin in the 1930s in a one-room school in the Badlands of arid South Dakota, refused to tell me the meaning of a word. Rather, she would dry her hands on a towel or put aside her work and say, “Let’s look it up together.” The worn, dog-eared, red Webster’s dictionary – my ready repository for mind-blowing definitions and fascinating etymology – was the origin of my amazing, lifelong fascination with language and imagination. I even have a collection of dictionaries dating to 1910, on my shelf in my studio. In defense of stimulating language, my favorite authors, as a child and as an adult included Rudyard Kipling, e.g., “The Elephant’s Child,” and Lewis Carroll, because they did not “talk down” to me as a young person, but inspired me, as in the author’s column above, “to have a dictionary in one hand and my book in the other.” Like the Elephant’s Child, I was born with “ ’satiable curiosity.” Each acquired definition peeled away another layer of meaning to every story I read, e.g., Lewis Carroll’s humorous political and societal commentaries couched in his children’s stories. As authors, we do not need to use flowery or contrived words to enhance our characters or descriptions. However, challenging words encourage children (and their adult reader companions) to stretch their language skills and become more broadly educated. Would a parent dismiss Mozart or J.S. Bach because their compositions were too complicated to explain to a young person? No, the simple exposure to intellectual challenge only raises the bar for future exploration and delightful discoveries. Does my style stand in the way of Whoo-be’s publication? Probably, but I must honor my mother and grandmother by encouraging the enhancement of language as a tool for life’s success, not a literary participation trophy for a quick, easy read. My beta readers have agreed, including a retired curriculum consultant for K-12 literature. Is anyone familiar with this and, if so, could you reply with a link?